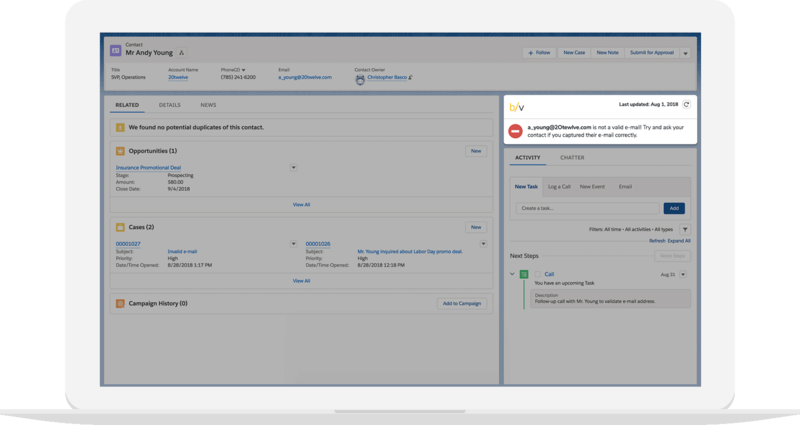 With Validity Verify, you not only have the power to clean and validate email addresses before you hit send, but the convenience of doing so right in Salesforce. With greater email accuracy, you can improve the ROI of digital campaigns, give sales teams lead data they can trust, and streamline customer communications. Want to learn more? Download the product sheet. Sending campaigns to invalid email addresses increases your bounce rate, reduces your sender reputation, and can eventually get your emails blocked. Instead, check your contact’s email address deliverability status to reduce your bounce rate by up to 98%, ensure messages reach your target audience, and avoid sending to addresses that don’t have value for your company. Reaching out to invalid email addresses wastes your sales team’s efforts and time. But using Validity Verify to ensure the accuracy of contact information helps streamline sales initiatives and convert more leads into customers. Missing out on an email is missing out on a customer. It’s worth taking the time to ensure that customer is real. To learn more or schedule a demo, contact a sales representative. Join the thousands of global companies that have relied on Validity’s data quality management tools for over a decade to help master the complexities of CRM data administration. 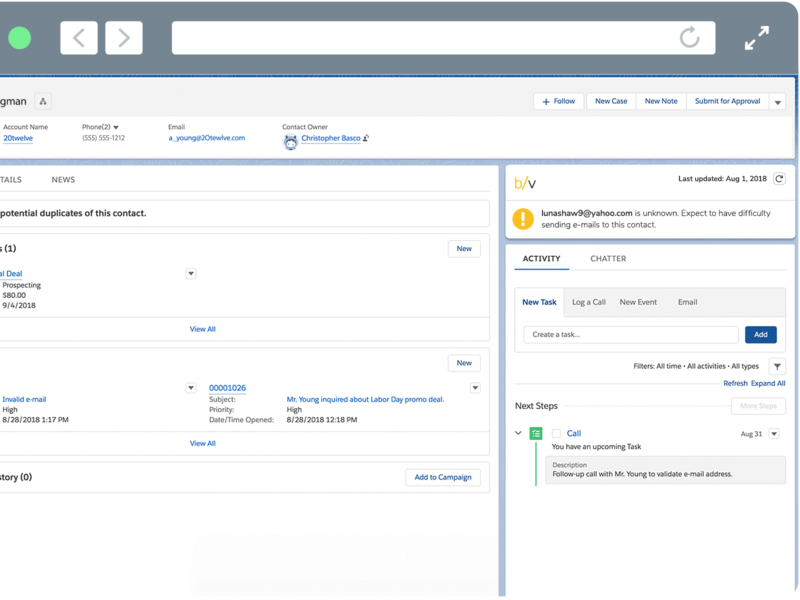 Find out how to better manage your Salesforce CRM data with Validity Connect and ask about adding Validity Verify for integrated real-time email verification.